This story is a part of a series of articles about campus climate issues that were brought to light by the university’s campus climate survey, the results of which were presented in September 2017. “I’m around a group of true heroes.” That is the first thing Ben Bridges, president of the Student Veteran Association (SVA) at Missouri S&T, says when he’s asked to talk about Missouri S&T students who are also military veterans. Bridges is a Navy veteran, having spent his time in cryptology, listening to Morse code all day. 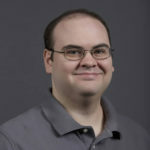 As SVA president, he oversees the activities and helps organize events, like the biannual barbecue held at Missouri S&T’s Student Veteran Resource Center (SVRC) on Career Fair days. The SVA was formed in 2013 and quickly grew in membership. In 2015, the SVA and S&T were awarded the $10,000 Vet Center Initiative Grant from Home Depot and the Student Veterans of America. The grant helped advance SVA’s objectives and its partnership with campus. The student veterans and the S&T campus community collaborated to create the SVRC. They renovated, furnished and decorated S&T’s first veterans center, located inside the Baptist Student Union, with study areas, a lounge with recliners, campus computers, equipment and Internet service, along with snacks and coffee. The facility opened in spring 2016. It was designed to help all student veterans reach their educational goals. 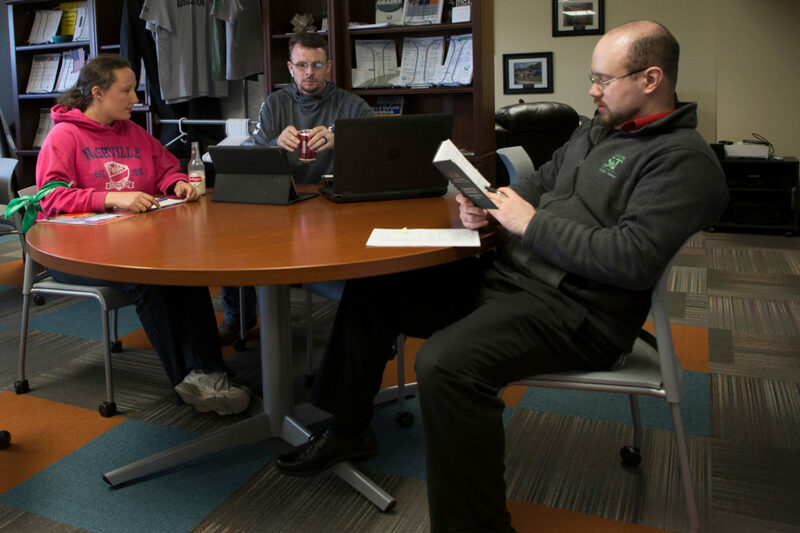 Part of an outreach and support initiative for student veterans at S&T, the SVRC is designed to connect vets with campus resources, but it also provides a space to relax and study. Student veterans have access to an advisor and veterans resource coaches to answer questions and help with academic skills, and a repository of information on transition issues and Veterans Administration (VA) resources. In the two years it has been open, the number of GI Bill students at S&T has risen from 198 in 2014 to 345 in 2018. The students often face issues associated with the GI Bill, and it helps to talk to someone face-to-face. The number of waivers and exceptions to rules can be daunting for newer applicants. One problem that Bridges sees within the veteran group is that most are reluctant to ask for help. Veterans, being non-traditional college students, bring their prior commitments with them to school as well, Bridges says. Kids, mortgages and work raise hurdles for student veterans to study. The center has started to use what it calls the “transition process” to ease students’ change in perspective. Students recognize what they have already learned, then go through the “Re-Spec-T” program, a transitional period that helps them to apply their learning in a way that they can successfully move forward in life. Lafser, who served in the Marines, says he hasn’t visited the SVRC. He believes that he has found his own way to adjust to college life. Hassinger, who served in the Marines, says he has witnessed a stigma around student veterans. Missouri S&T interim Chancellor Chris Maples, a veteran of the Army who used the GI Bill to pay for college, echoes that sentiment. Maples says it’s important to be there for student veterans who gave their time and energy for the country, but because times and perceptions have changed in the years since his military experience, he cautions that he may not be the best source for advice. The Heroes Field in 2017. Photo provided by Garrett Coffey. Three days before Veterans Day weekend, American flags will begin to spring up in the lawn of the Havener Center as the SVA kicks off celebrations with the Heroes Field – a planting of hundreds of flags that represent campus community members, friends and family of S&T affiliates who have served in the U.S. military. Anyone can place a flag on the Heroes Field. They are available between 10 a.m. and 2 p.m. Nov. 7-9 from the SVA’s tent that will be near the lawn. 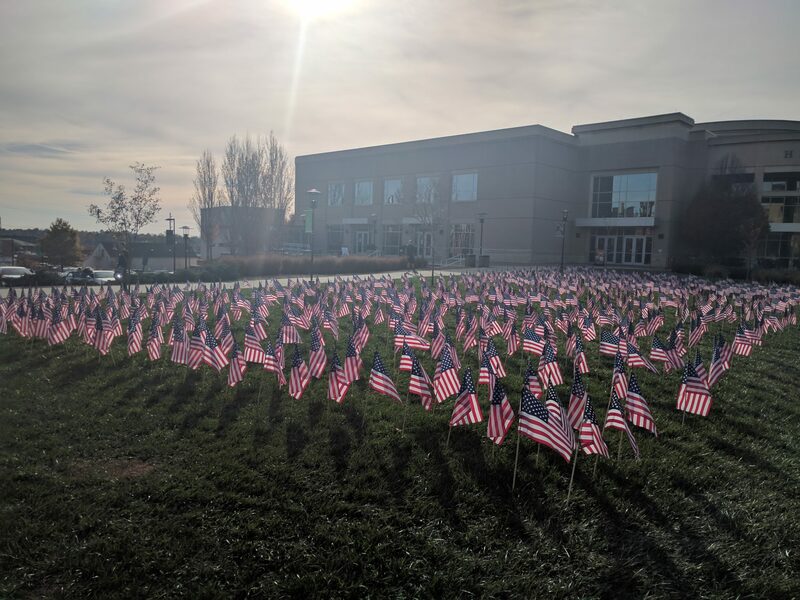 This is just one of the ways SVA members believe the organization can help raise visibility of veterans in the campus community. The group will also be out in force at the final Miner football game on Saturday, Nov. 10, for Military Appreciation Day. The SVA will soon be featured on Missouri S&T’s crowdfunding website, where they hope to raise funds to send more students to the Student Veterans of America’s national conference to network and meet with military-friendly job recruiters. A great story at a very important time of the year. With Veterans Day coming next week we honor the great sacrifices made by our Vets! Quite a change from the Vietnam Era returning soldiers. We need to maximally support our Veterans returning to campus and assist them in feeling part of the University and civilian life. Some of these men and women are fighting another fight if they suffered health issues or injuries in service to get their VA (and DOD) benefits. I am not living in the Rolla area, but those of us who work in the area of Veterans Law want our student Veterans to know they are not alone and that assistance is always available to them.